Today’s challenge was to draw our favorite Jim Henson character. I was originally distraught as I assumed it was just a challenge to draw a muppet character, but then realized that The Labyrinth was directed by Jim Henson and he created all the awesome characters. 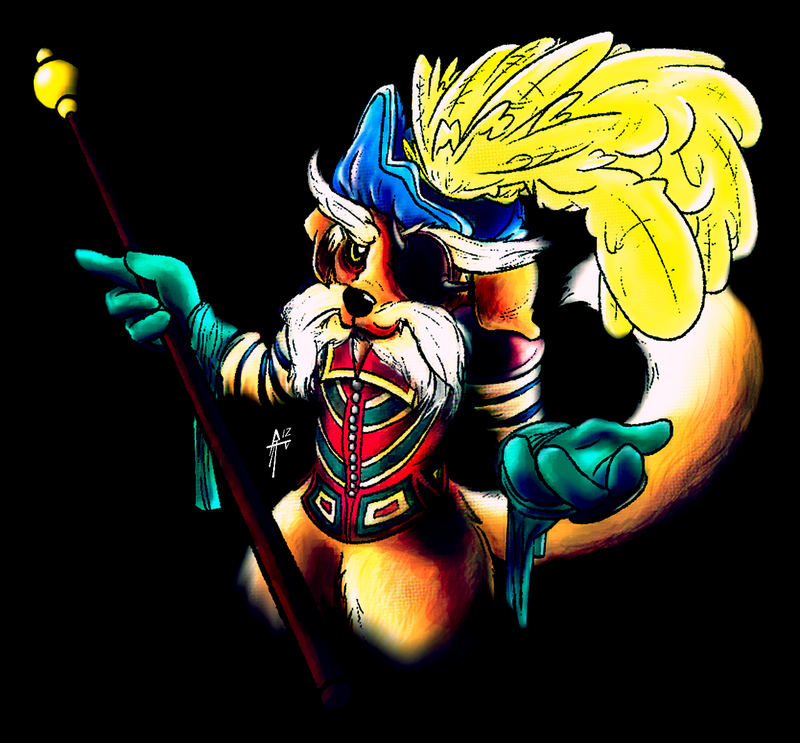 Sir Didymus is a boss and I just had to draw him. Definitely my favorite character. I would’ve done Ambrosius as well, however, he’s just a dog, and not really part of the challenge. I hope you enjoy! This entry was posted on 06.21.2012 by Ryan M Paxton. It was filed under Artwork and was tagged with 2D, adobe cs6, ambrosius, bowie, concept art, daily draw challenge, david bowie, didymus, digital painting, drawing, fanart, finished piece, fox terrier, foxes, illustrator, jim henson, labyrinth, pencil, photoshop cs6, sir didymus, sketchbook, sketches, the labyrinth. I remember the Labyrinth. Such great memories of that film, though when I first saw it scared me as a kid. I really like your rendition of Didymus, I had a soft spot for him too.